VegFest Houston - The Premier Vegan Community Festival of Texas! Our 2019 Vendor Applications are now open for the public! General Admission wristbands are only available at the door on the day of the festival. will be at Minute Maid Park! Join us for Houston's Best Vegan Fest! Check out our exciting news for 2019 in the video below!!! VegFest Houston is The Premier Vegan Community Festival of Texas! In 2010, our co-founder Kristen Lee Ohanyan proposed the idea for Houston's first and only vegan festival to her fellow Vegan Society of P.E.A.C.E. board members & leadership team colleagues. That dream soon became a reality! With the support of our dedicated volunteers, our nonprofit created the first-ever VegFest Houston, which debuted in 2011. VegFest Houston was held at Pecore Hall in Montrose in 2011 and 2012, and then moved to the larger Pershing Middle School campus in Bellaire for 2013 and 2014. The festival went on hiatus from 2015-2016 while our nonprofit organization launched exciting new outreach projects, created additional annual events, and expanded our fundraising. An even larger venue was also sought out in order to meet the needs of our growing vegan festival, as well as a fresh new format. We were pleased to officially move to the Stafford Centre Convention Hall for 2017 and 2018, where we ran out of space for the size and scope of our festival! Now, we have expanded to an even larger venue for 2019 at Minute Maid Park! This amazing, diverse, all-vegan community event is held right here in the nation's 4th largest city. It's no wonder, since Houston is ranked the 4th "Most Veg-friendly City" in the nation as of 2012, making us the top Texas Veg-friendly city! We are Houston's original vegan festival! The festival is produced entirely by volunteers from our nonprofit organization. Our popular event features vegan vendors and exhibitors, family-friendly kids activities, giveaways and more. 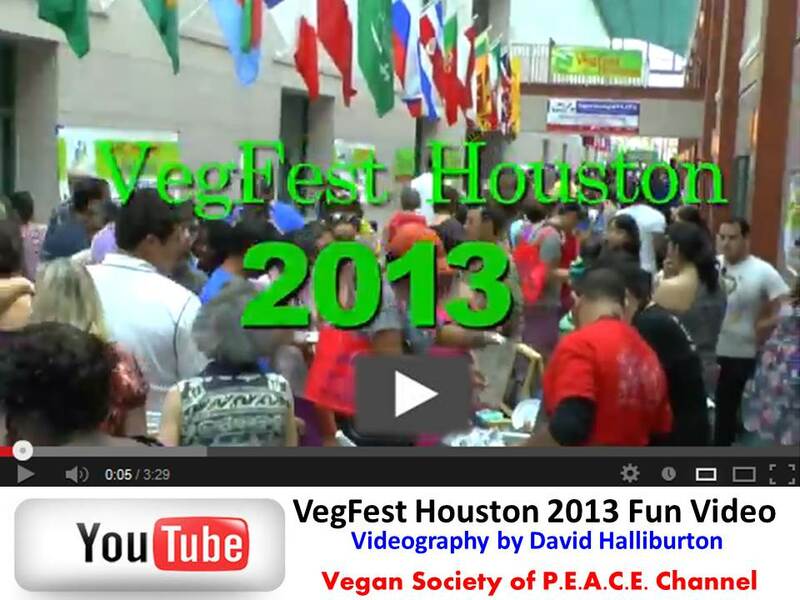 VegFest Houston promotes an ethical, compassionate and truly sustainable world for all. Ours is one of the most diverse vegan festivals in the nation!!! 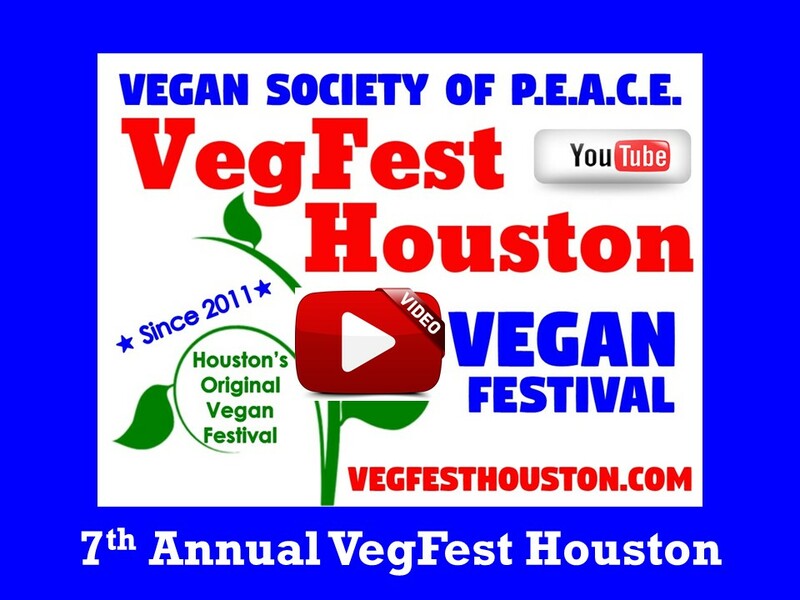 Did you know that VegFest Houston Vegan Community Festival of Texas was part of the early #VegFest movement? We were the first "VegFest" labeled vegan festival in Texas and our logo is one of those shown in this VegSource article about the history of The VegFest Phenomenon! Vegan Society of P.E.A.C.E. is honored to have our festivals be part of what eventually became a worldwide VegFest movement. Come be part of our history in Houston! 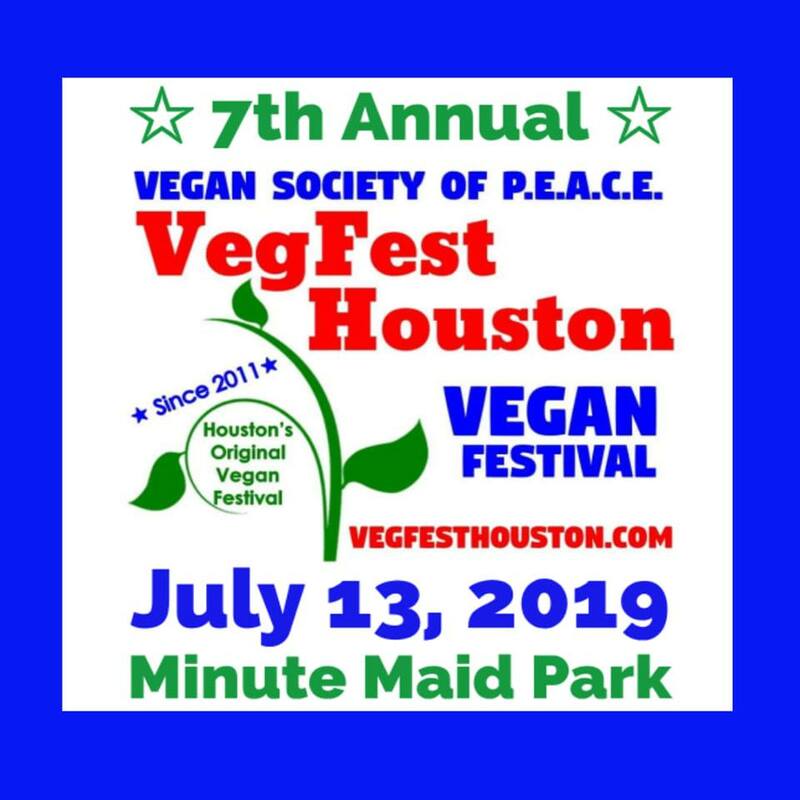 Attend the 7th Annual #VegFestHouston on July 13, 2019 inside Minute Maid Park! Our family-friendly annual festival is open to the public. Attendees can reserve a VIP PASS in advance (while supplies last), which offers special perks including early entrance, the festival tote, coupons, express entry wristband and other vegan swag. Additional VegFest Houston signature events are being planned for the future in an effort to reach the diverse and growing population of the Greater Houston area. Vegan Society of P.E.A.C.E. is excited to start a whole new trend in vegan festivals! Stay tuned! Huge thanks to our AMAZING VegFest Houston Leadership Team! Please see tabs below to visit our prior festivals!